A properly painted concrete block wall will be virtually maintenance free for many years, but the same wall not properly painted can be a maintenance nightmare. There are just a few critical differences between a good and a bad paint job. The main considerations you need to think about are new and unpainted, condition of existing finish and type of concrete block. All of these will require similar approaches when preparing the block for the protective finish coat. You will encounter two types of block, smooth and split-face. The difference of texture will drastically alter the amount of primer and finish paint needed. Count on split-face block needing twice as muck primer and paint when compared to smooth block. Exterior block surfaces can be either, but interior block surfaces are always smooth. Painting concrete block walls always starts with the removal of dust and dirt, efflorescence, and all loose or peeling paint. Both interior and exterior block surfaces require the same attention to details. Plain water will remove loose paint and dirt but efflorescence will need chemicals to be neutralized. 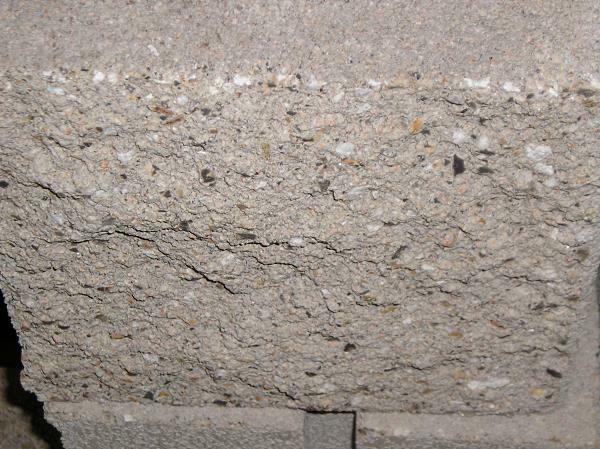 Efflorescence is a white powder that can form on the concrete block and is caused by water infiltration inside the block. Can be caused by failing exterior paint, a leaking roof or metal cap flashing. Use acidic masonry cleaner to remove this unsightly mess. On interior surfaces use a scrub brush to fully remove stubborn deposits. While pressure washing the exterior inject the masonry cleaner into the washer and use a scrub broom on persistent areas. After removing the efflorescence deposits find out were the water leak(s) came from and make any repairs necessary. New unpainted concrete block walls need to have all dirt and loose mortar removed prior to priming. Painted walls will need all loose and peeling paint removed. Lift off the peeling paint with a stiff putty knife or paint scraper. Then scrub the area with a wire brush. Also, any greasy or oily deposits will need to be cleaned with TSP, trisodium phosphate, and primed with a stain blocking primer. The first step when preparing concrete block walls is pressure washing. Use a commercial style pressure washer and at least 2500 psi. A suitable spray pattern is the 15° degree tip held 12 inches from the surface. Any remaining loose paint will need to be removed manually. During the preparation pay attention to any loose mortar and large cracks. All repairs need to be done after the pressure washing. A good washing will save a lot of time later. Don’t rush, it’s easier to pressure wash than manually scrape the loose paint. New and Unpainted – All your after is removing any dust, dirt and loose chunks of mortar. Mild pressure, 1500—2000 psi, is all that is needed. Work in a horizontal, back and forth, pattern. Start washing at the top and work your way down the concrete block wall. Previously Painted – Most of the prep-work involves removing all loose or peeling paint and fully evaluating the condition of the block. The pressure washer can remove most, if not all, of the loose paint. To remove the majority of peeling paint with a pressure washer use 2500-psi and 15° degree spray tip, typically white. Hold the tip 12 inches from the surface and work in a horizontal, back and forth, pattern.If any paint peels during the washing continue following the edge of the loose paint. Try to inject the water underneath to lift as much as possible. The spray tip can be within 6—8 inches of the surface to concentrate the water pressure. Follow this procedure with a vertical washing pattern. In order to provide the most adhesion and best performance, all caulking needs to take place after the application of primer. You have many choices, as which to use. The best types of caulk are elastomeric and polyurethane. Use non-sagging polyurethane for expansion joints and elastomeric around windows and doors. Materials needed for caulking expansion joints are foam backer-rod and non-sagging polyurethane caulk. The backer-rod needs to be slightly thicker than the expansion joint, example- a 3/4 inch joint needs 1 inch foam backer-rod. Insert the backer-rod 1/2—3/4 of an inch below the surface. Polyurethane sealants are very sticky and reduced with mineral spirits. Use a plastic spoon and mineral spirits to tool and smooth the sealant. Caulking windows and doors is the same on a concrete block building as with caulking any interior or exterior surface. Unpainted concrete block needs to be primed before the application of the finish paint. The main function of the primer is to fill the pores and neutralize the high P.H. The best primer designed for this purpose is Acrylic Block Fill. Typical coverage for Block Fill is 200 square feet per gallon on smooth block and 100 square feet on split-face block. Acrylic Block Fill primer can be applied over acrylic or latex painted concrete block when properly cleaned and prepared. Many manufactures also produce an oil base formula for use over oil base finishes. This can resolve prior defects in paint jobs that were never properly primed and have open pores. Any high quality paint can be applied over Block Fill primer, but certain types perform better over time. The absolute best for exterior use is Elastomeric paint. This finish can outlast normal paint 2—1. The next best choice is 100% Acrylic semi-gloss or satin sheen paint. Interior surfaces can receive any sheen to match your decor. Acrylic paints will out last standard oil base finishes when use on the exterior. With interiors your paint choice depends on the use of the wall, room or area. Finishes with a higher sheen, semi-gloss or satin, will be easier to clean and maintain. In most cases the primer and paint should be applied to concrete block with an airless sprayer and back rolled. This is a two-person operation. Block Fill primer is thick and will require a powerful airless sprayer. A 3/4 gallon per minute sprayer and a 517 spray tip is the minimum required. Large professional units can be rented. Use a gas powdered sprayer on the exterior for added power and convenience. The roller cover needs to be a thick nap and of the highest quality. Cheap synthetic roller covers become compressed easily and will be frustrating to work with. 100% lambs wool covers work best. Use 3/4—1 inch for smooth block and 1-1/2 inch on split-face block. Apply a thick even coat and immediately use the roller to push the primer and finish paint into the pores of the concrete block. The goal is to produce a surface that is completely filled and sealed against moisture. This procedure works equally well on interior block surfaces. Back rolling is a great way to produce a better looking result even without the need for primer. Spraying isn’t always necessary, standard brush and rolling techniques can be used. Dipping and rolling will be slower and more labor intensive, but when painting the interior of occupied block buildings and homes rolling can be the best application method. If you are going to put concrete sealer on it, do you suggest pressure washing beforehand? Or is there a different prep method for that? I assumed that it would be similar to the process of preparing to paint, but now I’m not sure. A good washing and etching is a good way to prep a concrete floor. Vertical walls need just a good washing. Consult with the sealer manufacture for specific recommendations. It’s been a year since your last comment, so I hope you’re still around. I’m trying to paint an interior bathroom of an old house. The walls are Ocala block. They have a thin layer of white paint which was done at least 15 years ago. I don’t know what kind of paint was used. It could have been latex or oil. What paint should I use on top of it? When in doubt use a primer. Since you don’t know the type of paint last use the first thing to do is prime the block. A good oil base primer, like Zinsser Cover Stain, or a good acrylic primer like 123 or Gripper will allow you to use any paint you want. In this cane a good interior acrylic satin or semi-gloss will work well. When painting a newly built exterior cinder block wall, how long do you have to wait to paint? You can prime and paint immediately. Concrete block is “pre-cured” before install and using a masonry primer will neutralize the mortar. What is best to use on cinder block classroom walls? I’ll be painting over existing “Diver Wgote” paint. Would I be able to use a paint with a primer in it? Any good quality paint will work without major priming or prep work, assuming the walls and existing paint is in good shape. Maybe something with a good sheen to help with cleaning. Getting ready to repaint interior cinderblock walls that currently have a semi gloss finish. How is the best way to prep for a new color coat? Do I need to prime before putting on a new color? Sanding the block walls seems like it wouldn’t work. Any good quality acrylic paint will work just fine without sanding. The sheen isn’t a problem. Make sure the walls are clean before starting the painting. In this case priming isn’t needed. You can use either a traditional lime wash or a thinned masonry stain. The masonry stain will be a longer lasting product. Make sure to clean the surface well, no dust or soot. I have a CBS home the home has settle and theres a few cracks is there a paint that can cover the settleing cracks without noticeing it. If the cracks are small (tight) an elstomeric coating could fill and cover these cracks. But, large stress cracks will need repair before any paint can be applied. For an existing block wall with peeling chipped paint, should I be concerned about trapping moisture in the block wall if I prime with acrylic block filler and elastomeric paint (seal)? I have read on other websites block walls should breathe. The block walls will still breath with the block-fill and elastomeric applied. Both of these allow water vapor out but block new water from entering. 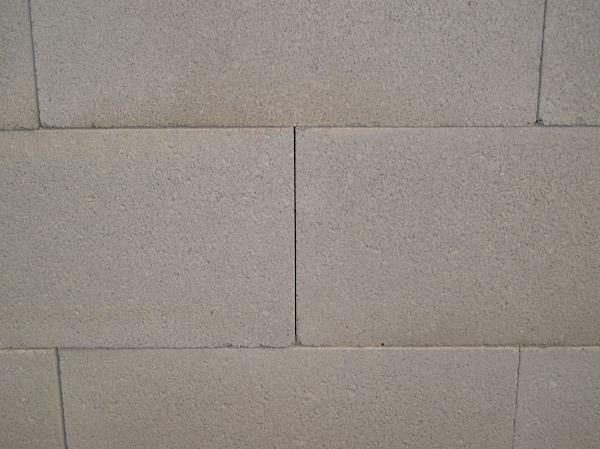 Block and other masonry surfaces is exactly what it is designed for. New concrete block, filled with grout. How long to wait before painting ? wait a couple weeks before applying acrylic blockfill primer, recommended before any paint is applied. Do I use semi gloss on cinder block walls? What’s best to use especially with having to hang posters with tape on the wall in a few weeks? Semi-gloss will be fine, but the sheen could also be satin. The most important consideration is the quality of the paint. A semi-gloss will be more resistant to cleaning chemicals and higher humidity compared to other sheens. We have to reseal basement cinderblock. Currently the sealer/paint is peeling in spots due to past water infiltration. First off, should I be concerned about lead paint; and second, do I need to prime the wall after I chip off the remaining paint before I put on the block sealer? Lead paint was used in older homes before the mid-1970’s or so. If your home is older than this testing the existing paint is a good idea. Test kits are cheap and available at your local paint store. Priming depends on the sealer used and the condition of the block. If there is persistent moisture you should use a water blocking sealer that can take hydrostatic pressure before painting. This is done where it is needed only. All raw unpainted areas should be primer, spot primed, with an acrylic universal primer such as Zinsser 123 or Gripper. I’m working on exterior cinder block wall with smooth surface, paint is peeling. I get confused about when to do my caulking, before or after I apply Drilock sealant / primer??? Main reason I’m needing input, is because the paint around my fairly new vinyl windows, has completely peeled off to the window caulking, leaving gaps for water leaks. Don’t know how to address it? Shouldn’t window caulking have been done differently, not attached to loose paint? Normally prime first then caulk, but it can be done before the caulking. Paint peeling off caulking is a compatibility issue. Paint won’t stick to silicone caulk and most polyurethane caulkings. Silicone isn’t paintable and there is no primer that will stick to it. Polyurethane caulkings must be primed before painting, oil base primer. No caulking should be applied to loose paint, all loose must be removed before caulking. At this point remove all loose paint and caulking, recaulk were needed then prime. If you have silicone caulking around the windows then you need to remove as much as possible, if possible, then apply new paintable caulking over it. The caulking around the window, rather the caulking on the side of the window, looks good & is stuck well, it’s a very good 50 year caulking. It’s the other side of the caulking, where it is supposed to be attached to the paint on my block wall, that I’m concerned about. Are you saying I still should remove all the caulking, and prime it & seal it, and then recaulk my window? I never expected to do all this, of course it is only 2 windows. Now I’m getting a little worried, b/c after I finish my block wall, I had plans to paint the rest of my house, and I hadn’t thought /or planned on having to recaulk the rest of my windows. I have a total of 23 windows. If fact, I was waiting for my window installer to call me in regards to capping my facia boards & installing a vinyl soffit for me. Since his company installed my windows, I might just ask him to redo all the window caulking properly. It just ticks me off when people take shortcuts b/c they don’t want to do quality work. I had a stroke a few years back, just before my windows were installed. I have problems with my memory, thought process, words, thinking, etc. I get easily confused about anything, my understanding of what I hear or read is often inaccurate, but I persevere, don’t want no potty, but do like others to be patient & I guess tolerable of me. I really do appreciate your help and support, but still s/w unsure of how to approach my task. When I’m given too much info, I often get overwhelmed and just lost. Let me think some more about your reply & maybe I’ll understand more about what I need to do. Only need to remove caulking if there is a problem, such as dealing with non-paintable caulking or it is loose. If the caulking is paintable and fully adhered then nothing needs to be done. If the window installers used silicone caulking then I would have them fix it, if possible. This isn’t easy as cutting silicone caulking is all around hard, time consuming work. An alternative is to apply a very good paintable caulking over the silicone. Thank you so much for your help. Regarding my 2 windows in my block wall, are you saying if it’s a good acrylic caulking & is stuck good to my window, which it is, to leave it & just apply more of the same caulking? Sorry, I just get things twisted in my mind often. And if I do the above, do I caulk it before I prime & seal the block, or after. My mind tells me to do it before b/c it’s better for it to be adhered to the cement around the window instead of having it stuck again to paint, b/c paint is not as tough a surface as cement. I can send a pic if it would help. I’ve already pressure washed w/just water, scraped with wire brush & scraper. Was going to caulk some hairline cracks, but I just remembered you said to do that after putting on my Drylock (primer & sealer). I guess I may have just answered my question above. I hope I’m not too annoying & thanks again for your assistance. Correct, if the caulking is in good shape and paintable then only apply new caulking were needed. Go ahead an caulk everything in before the primer, this is fine. The only difference with what I outlined is I prefer to caulk in everything after the primer, often I’m dealing with a degraded substrate and need to stabilize it before caulking. With that said, sounds like you are have a good understanding your needs and doing everything correctly and in proper order. Thanks so much for your help, it makes me feel much better about what I’m doing. I was planning on caulking tomorrow, but it’s calling for rain the next few days, so I’ll probably wait. I think I need to rinse off my wall too, b/c of all the scraping, then allow for it to dry. If you have time, I do have another quick question. I have a wooden deck attached the block wall . Do I need to take down the decks post, so I can paint the wall behind them, or just paint as much as I can with them in place? I think there are only 2 bolts holding each post in place. I’m sure the deck itself has bolts holding it in place, but figured that would be too much of a job, plus it’s not necessary to detach them & paint. I did notice that the block wall beneath the deck is painted, so I guess I’ll have to crawl under the deck & paint that part of the wall too. I had a hot tub removed from center of the deck, so it shouldn’t be too hard to crawl under it. No need to remove the deck posts, just paint whatever you can reach. Same goes for under the deck, a pain but if it is visible then it should be painted. Thanks so much. This is my very last question, I promise, with my fingers somewhat crossed. Should I even attempt to spray a sealant or something underneath the deck, or just not worry about it? I guess you’ve already figured out that I’m a little detailed oriented, but it my be seen as obsessive compulsive. I really am thankful for all your help, this is a great resource site, and I appreciate you willing to assist & share your knowledge & expertise. The exposed concrete block under the deck – if it is visible then is should be painted the esthetically match the rest of the house. If it is hard to reach and not all that visible then I wouldn’t do it. Your call. The exposed deck frame – no, this should never be sealed. Sealing the deck frame will accelerate rot by trapping moisture in the wood. No paint or even deck stain. At this point I would powerwash, remove only what will come off easily, spot prime then paint (either paint everything or paint only the spots where it is primed. If you think this will come back elsewhere in the near future then spot priming and spot painting is a better bet. There isn’t a primer that can penetrate through paint and glue it down, wish there was. The only primer that can glue down edges is Peel Stop, used on old homes that have old cracked paint. I don’t think this would be useful in your situation. A good primer to use for chalky surfaces is Zinsser 123. The acrylic primers do a better job binding with any remaining ‘chalkyness’, do make sure to wash well and try to remove as much chalk as possible from the surface before priming. Zinsser 123 is tintable to a point but should be painted over within a month, can get really hard after a while and might have problems with paint sticking, producing even more peeling. Best to paint over all primers with in a week or so. Thank you for your reply. Are you referring to Acrylic Zinsser? Not oil based? Correct, Zinsser 123 is acrylic. Thanks. I did have a painter come out, finally and recommended Holzer primer. I am thinking Zinsser bc of the availability/price. Let me know if you think Holzer is far superior. I never heard of it, might something more regional. There’s always better primers, STIX by Insl-X is really good but expensive. The Zinsser 123 is a good primer that adheres well to difficult surfaces, is readily available and reasonably priced. I would wait for a few days, maybe 5-7 days, for excess moisture to leave then prime and paint as usual. Summer heat and lower humidity can speed up this time. One way to check if excess moisture exists is to take some plastic sheeting and tape, seal it to the wall. If a lot of water droplets form under the plastic then wait a bit. Some moisture isn’t a problem but a lot can cause bubbling and peeling. Would you recommend removing the paint somehow so I don’t cause any damage to the concrete block? Are there any visual cues to show if the block is now retaining moisture (pulling from the ground i’m assuming)? The Loxon does allow water vapor to pass through, so the wall will breath a little. The number 1 thing to do mow is make sure the dirt around your home slopes away and there is good drainage. Signs of excessive water will be staining and bubbling of the finish coat. Mold along the edge, especially with carpet, is also an indication of problems. No need to do anything with the block wall but do double check the landscaping. I used Zinsser block filler on my bare basement blocks. Can I put a sealer over it? Such as Watertite? Yes, you can put any top coat desired over the block filler. The Watertite will work well. I was about to paint my garage wall (which is below ground) but upon miving everything away from the wall there was some mold in certain areas. I used white vinegar to remove the mold and then did a full wipe down with water. The wall was previously painted and spot patched for cracks by previous owner. Upon inspection, I had some efforescence that I removed with a wire brush and spot patched cracks with UGL Drylok Fast Plug Hydraulic cement. I think I am now ready to paint and wanted to know if using an elastomeric paint would be a good choice? I don’t know if what is on the wall is a block sealant or plain old paint? Or would a product like Sherwin Williams Loxon be a good choice? Use Drylok Masonry Waterproofer as a base for your final paint. Will work much better than an elastomeric coating or Loxon, both are best used outside and above ground. Thanks for the quick reply. It is very much appreciated. This is a great site with excellent information! Hi, I have a couple of follow-up questions. Do I have to apply the product using a thick roller and back brush it? Is the best approach? You can do 2 coats instead of one very thick one. Personally, I would use a 1/2 or maybe 3/4 inch roller. Work the material well but don’t over work it, you will know when that happens. Also finish each roller stroke in the down motion, this will lay down the roller stipple in the same direction across the wall making a better look. Oh, you don’t have to back brush but you want to fill in the open pores of the block. A roller will do this just fine. Above all, I want to be able to clean the blocks periodically with light pressure-watching (to remove the inevitable mold, moss, and algae). Originally I was planning to paint the blocks a color, but now I am not sure that would be a good choice – whether paint would be permanent enough or easily renewable with good appearance. I thought this would be an easy project, but I am running into a limitation of several of the usual materials which are not permitted for sale here in Hawaii (due to regulation?). I wanted to use a satin, self-priming masonry paint, but here it is only available in the flat, and I can not get the satin shipped here, either. The flat version is not good from a cleaning standpoint. Block-fill primer is apparently also taboo … and other products. Does a new (porous) concrete block need etching? Since there is no mortar, do I need to use a masonry primer? Would priming and top-coating with a good-quality acrylic paint work well with concrete block? Would a concrete “conditioner” prior to painting be effective? If I forget about color and just go with sealer … which one? One vendor suggested using a colored stain and top-coating with a sealer which would finish-out glossy (and hence be cleanable). I’m wondering whether the sealer will hold up to cleaning, whether it will yellow from exposure, and how renewing it (if necessary) will look. I also would prefer a satin or semi-gloss finish. I’m not concerned with an uneven concrete surface in terms of appearance, but it may foster mold growth if it is not thoroughly sealed. #1 Etching isn’t needed. The block if fully cured and has a stable PH and open pores. #2 If you apply a paint you really should prime. A general purpose exterior acrylic primer will work well. Every paint store will have an exterior acrylic primer. #3 Paint will work reasonably well but will require periodic maintenance, remove loose paint and primer before painting. If primed, no conditioner is needed. #4 A straight clear sealer will work well and easy to maintain. Wash, dry and reapply, in most cases. I recommend Seal Krete concrete sealer or something like it. 100% acrylic. #5 I would apply a masonry stain (semi-transparent) and top coat or seal it with Seal Krete or something similar. Overall this is the easiest to apply, easiest to maintain and cheapest way to go and have some color. Staining and sealing should do well with cleaning (low psi) and weather. Some maintenance every 2-3 years. Paint could go 5-6 years but could become a nightmare with heavy prep before repainting. Paint will peel since the block isn’t fully sealed with mortar. Without mortar the top and bottom edges are exposed to water. Staining and sealing can be done with a garden sprayer, if it has a good spray fan. Sealing each block before assembly would be preferred. Thank you for taking the time to answer questions. It’s a great help and have learned a lot. We replaced windows and we now have fresh, unpainted stucco around the windows. I bought Seal Krete to waterproof the stucco but the label says do not use if the temp drops below 50 degrees in 24 hours. Its been getting down in the mid 40’s at night so I decided to use Zinsser 123 since it doesn’t have the 24-hour requirement. Can I later paint over the 123 with Seal Krete when the temp gets warmer? Also, I was going to repaint the house in spring but u suggested the 123 will harden. Should I just paint over it now with an acrylic or latex paint and then repaint it when we paint the whole house? You can apply Seal Krete right over the primer but it would be easier to just apply a coat or 2 of paint instead. Plus paint will do a better overall job. I travel for festivals and use deck blocks to weigh my canopy down at windy events or when I can’t use tent stakes. These blocks are very crumbly and leave concrete dust all over the interior of my vehicle. Is there a way to seal these blocks so that I can carry them around without getting chips and dust absolutely everywhere? They don’t need to be ultra beautiful – just functional. I am a face painter, so whatever I use needs to be latex-free since I touch strangers’ faces all day. Any clear concrete sealer will do the trick. These sealer, like Seal-Krete, are acrylic not latex so that won’t be a problem. Apply to all surfaces, inside and out several coats, until saturated with sealer. An alternative is house paint. Any descent paint will do but priming will still be needed. With paint the “sealer” is tougher than a clear coat and easier to maintain. I have the cinder block basement walls sealed professionally three years ago. I’m not sure what product was used but understand that it was from a professional – commercial line. I’d now like to paint them. Do I need to prime the walls first? What primer would you recommend? And what finish coat paint would you recommend? I’m looking for a semi gloss finish. Do I understand that I should NOT use elastomeric paint on the interior walls? My main concern is painting without damaging or weakening the prior sealing process. Thank you in advance. Using a primer is a good idea, better safe than sorry. A standard acrylic bonding primer should work well; Zinsser 123 or Insl-X Stix will work well. The finish paint can be any color sheen you desire. Do not use an Elastomeric coating. Hi i am about to paint the exterior of my block home I have pressure washed I’m just wondering how long I need to wait until I can paint after pressure washing? Overnight will work. The block needs a little time to dry out before painting. Thank you for the great article! We are building a privacy fence using cinder blocks for the posts. The homeowner wants a stucco finish but stucco is unavailable in our area. Can we add sand to the primer or paint to achieve the desired effect? Sand added to the primer won’t look like stucco. A sanded elastomeric paint might work if available. Another option is a basic stucco patch, powder available at hardware stores. Or use your mortar mix, add extra portland cement and lime. You will need to play with the mix to get something that will stick and look good without cracking. Another question, there is only 1/8 of extra space for paint. Will we have to take down the columns and start over or is there a way to fit the primer and paint in that space? I don’t understand. What is this space? Depends on what the original paint is and the shape or condition of the original paint. General rule is a primer is needed when changing types of paint (oil to latex), seal a porous surface or seal stains. Great article! I am preparing to repaint my 1955 block house. It has been repainted a number of times and layers are peeling off. With a pressure wash and assuming not all of the existing paint has come off, when I paint a new coat will the texture of the on-and-off original paint show through? It will show. One way to lessen the look is to sand back or feather the edges of the peeling areas. This will help. I’m painting exterior smooth concrete block barriers to my yard. When I water my yard water leaks into my driveway through the cracks in the walls. What should I fill these cracks with before painting? The cracks are bigger than a hair line crack and are vertically as long as the 2 to 3 ft wall. A good caulking will work well. The biggest problem you will have is paint bubbling from water coming through the walls. Could try priming with Drylok masonry primer then painting. I have a cinder block basement built in 1991, and to avoid drywall wanted to paint and seal for moisture. It’s never been painted, and there is some efflorescence. My concern is prep, as the basement’s pretty full and will need to do in stages. Can I just dry brush and vacuum all loose debris, or do I need some other chemical and let dry? What are your thoughts on Loxon primer, maybe even the combined primer and topcoat version. Or, should I use some other brand for best adherence longevity? Yes, vacuuming is fine. The efflorescence will need some washing, white vinegar, no-rinse TSP and warm water will work for most deposits. A really good foundation primer, below grade, is Drylok. It can be painted over with any paint you choose. Drylok can stop moisture from coming through the wall and bubbling your paint. I’m looking to paint the cinder block walls in the basement of our 1959 house. The basement has never been painted before. There was previously an issue with water seeping up from the floors… It’s been taken care of with an interior french drain and sump pump system –there’s been no water since that was installed over a year ago. Other than cleaning, what should I do to prep for painting? Primer? Sealer? Something else? After cleaning and repairs, if needed, a good primer must be applied. You have several choices but if water seeping isn’t an issue then a good universal acrylic primer will work. Zinsser 123 or equivalent. For a better seal use Drylok as a primer.